(Source: Johns Hopkins): The Department of the History of Art at The Johns Hopkins University invites applications for a full-time professor at the rank of Assistant or early stage Associate Professor in the field of ancient Mediterranean art and/or architectural history to begin July 1, 2018. We encourage applications from scholars specializing in the arts of the ancient Mediterranean world, including Greece and Rome. 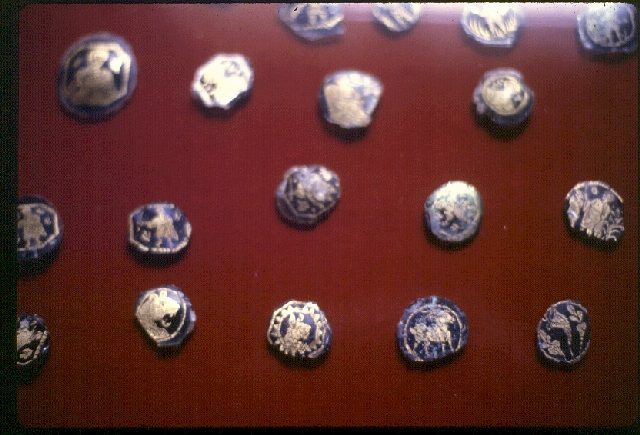 Preference will be given to those specializing in the later first millennium BCE through Late Antiquity. Ph.D. in the History of Art, Classics or related field required at time of appointment. Candidates must demonstrate a strong publication record and a commitment to teaching at the undergraduate and graduate levels. Salary is commensurate with qualifications and experience. Candidates should submit a letter of application, a current CV, and one article- or chapter-length sample of scholarly writing (published or in-press). Candidates at the assistant professor level should arrange to have three letters of reference sent on their behalf (applicants at the tenured level should instead send the names and contact information for three references). All materials will be submitted online at http://apply.interfolio.com/45276. Review of applications will begin on November 15, 2017. For further information, contact Marian Feldman, Department Chair: mfeldm20@jhu.edu. For more information about the department, visit http://arthist.jhu.edu. The search committee is committed to hiring candidates who, through their research, teaching, and/or service will contribute to the diversity and excellence of the academic community. Johns Hopkins University is committed to active recruitment of a diverse faculty and student body. The University is an Affirmative Action/Equal Opportunity Employer of women, minorities, protected veterans and individuals with disabilities and encourages applications from these and other protected group members. Consistent with the University’s goals of achieving excellence in all areas, we will assess the comprehensive qualifications of each applicant. Assistant Professor of Archaeology at the American University of Rome. Deadline to apply: November 15, 2017. The Archaeology and Classics Program at The American University of Rome is seeking applications for the position of Assistant Professor, a full-time tenure-track appointment beginning August 1, 2018, with a primary specialization in Classical Archaeology, with a secondary interest in a related field, such as Ancient History, Religion & Philosophy, or Greek & Roman Literature. Applicant must have a PhD in-hand by the time of appointment. Responsibilities include five courses per year (semester system), and administrative contributions such as committee participation and student advising. 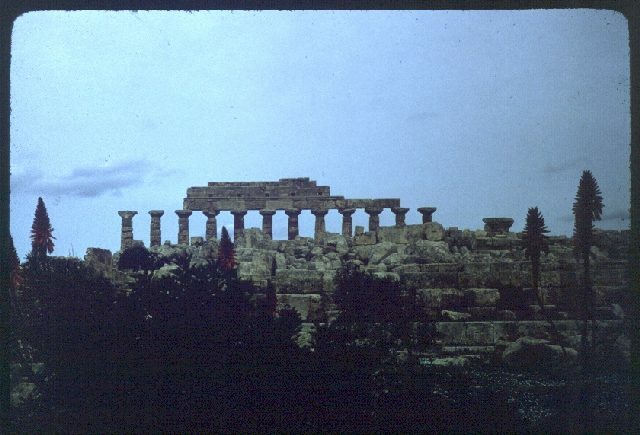 The candidate will be expected to participate in the development of an interdisciplinary program in Archaeology and Classics, and to offer courses to support both the major and the overall liberal arts program of The American University of Rome. We welcome applicants with expertise in any region of the classical world from prehistory to late antiquity, but preference will be given to candidates with teaching or learning experience in an American liberal arts institution, and with an interest in teaching students with diverse backgrounds and in diverse settings (on-site, classroom etc.). Additional questions may be directed to Dr. Genevieve Gessert at g.gessert@aur.edu. Website: https://www.aur.edu/employment-opportunities-american-university-rome. Italian working papers will be required for employment; non-EU candidates must undergo the appropriate visa process if selected. Term employment contract. Full time position. 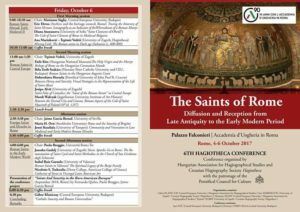 Send an abstract of your paper (400 words) to readinglateantiquity@gmail.com by 1 November 2017. Please also specify your affiliation. 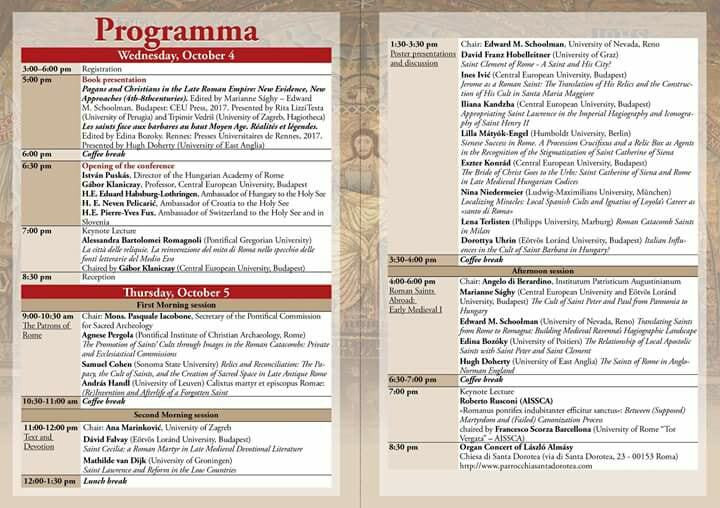 Pagans and Christians in the Late Roman Empire: New Evidence, New Approaches (4th-8th centuries). Edited by Marianne Sághy – Edward M. Schoolman. Budapest: CEU Press, 2017. Saint Clement of Rome - A Saint and His City? The Department of Classics at the University of California, Los Angeles, has been authorized to make an appointment to a full-time position in Roman material culture at the rank of Assistant Professor (tenure-track) or Associate Professor (with tenure), effective July 1, 2018. We invite applicants with interests from across the range of disciplines dealing with material culture, including Art History and Visual Culture, Archaeology, and Digital Humanities, who would expand the department’s and UCLA’s current strengths. The successful candidate will demonstrate evidence of scholarship and a commitment to produce research of high quality and originality. She or he will also demonstrate a commitment to teach a wide variety of courses at all levels of our active undergraduate and graduate programs; the ability to teach courses with readings in Latin would be welcome. We also welcome candidates whose experience in teaching, research, or community service has prepared them to contribute to our commitment to diversity and excellence. These materials must be submitted online at: https://recruit.apo.ucla.edu/apply/JPF03300. Informal inquiries may be directed to Professor David Blank, Chair of the Search Committee: blank@ucla.edu. Please cite the reference number for this search in all correspondence: JPF03300. 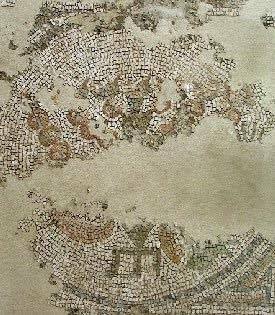 Candidates of interest will be interviewed at the meetings of the Archaeological Institute of America/Society for Classical Studies in Boston in early January. The successful candidate should plan to have the Ph.D. in hand by the starting date of the appointment. Thursday, October 5, 2017 10:00 AM - Sat, October 7, 2017 6:00 PM. 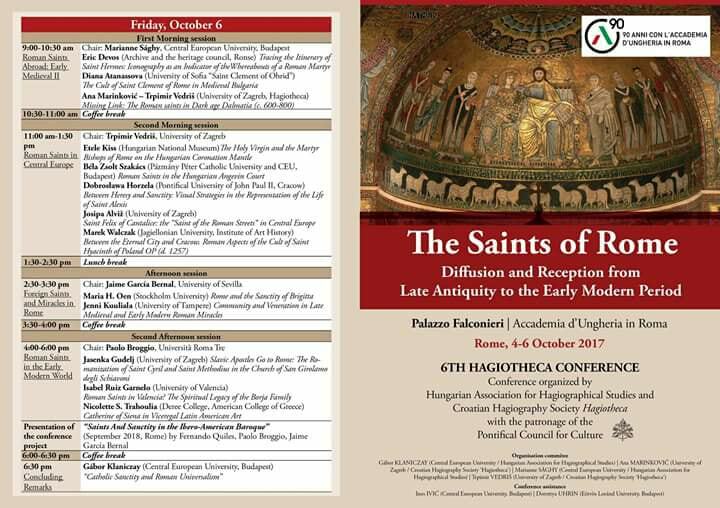 All three days of the conference will start at 9:00 am and run until 6:00 pm. 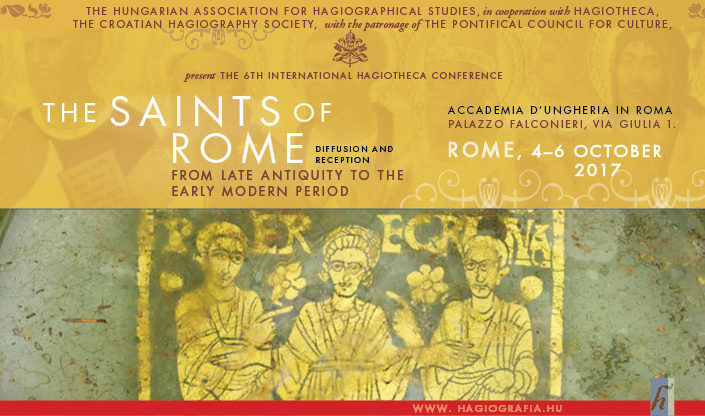 This workshop will bring together experts in the epigraphic cultures of half a dozen different languages and scriptural traditions who are also involved in creating (or developing) digital editions and databases of inscriptions, to explore these questions and other shared interests during a day-and-a-half of short presentations and group round-table discussions. The workshop will be immediately preceded by an EpiDoc workshop (5-6 October) designed to introduce the basics of the EpiDoc editing system. 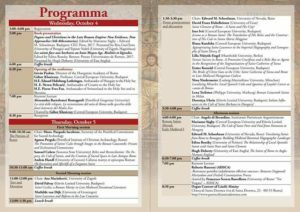 The two events, co-ordinated but independent, together form the culmination of a three-year project sponsored by the Partner University Fund of the French American Cultural Exchange (FACE) and the Andrew W. Mellon Foundation, “Visible Words: Research and Training in Digital Contextual Epigraphy”, which has aimed to promote research and training in the application of digital technologies to the study of inscriptions in their spatial contexts. 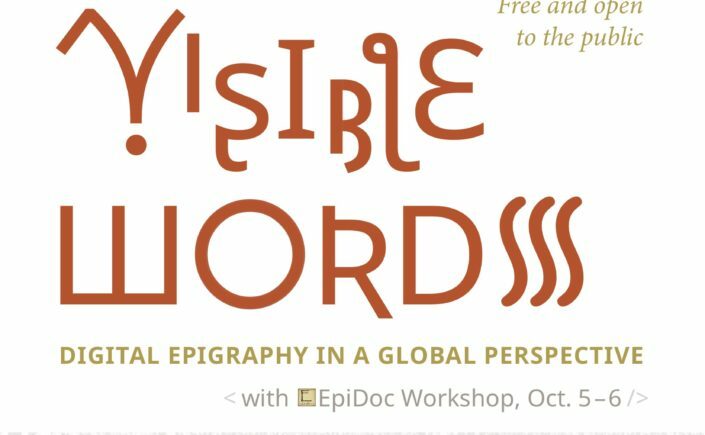 In the spirit of the Visible Words project, the workshop is avowedly exploratory and collaborative in nature. Our goal is to further the shared enterprise of advancing the study of inscriptions through digital technologies by seeking to find commonalities (both disciplinary and technological), to recognize and define differences, and to identify productive areas for future investigation and development. "I am thankful that the true spirit of this Rosh Hashanah week always seems to catch up with me like the huge Jewish stop sign on the road of life that it is, and rescues me from the swirl of my usual routines and obligations so that I must now stop, look, and listen to everything - if only for a moment! - that is going on around me. It is (as my Rabbi reminded me) a time to remember where we have been, a place to think about where we are, and an opportunity to imagine where we will be. 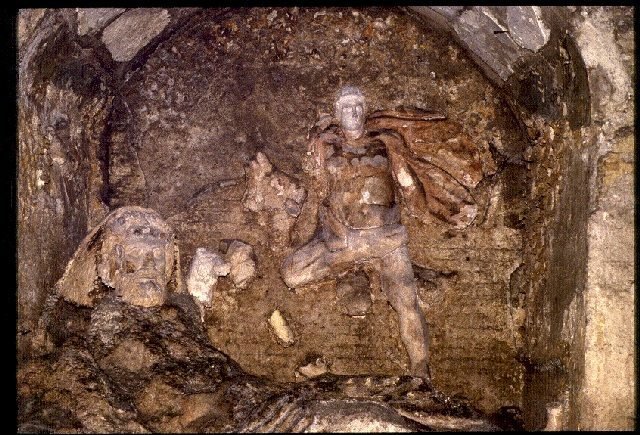 And so, in addition to the many thoughts about my family, my social and business affairs, I have been thinking about the past, present, and future of the International Catacomb Society and especially of its founder, Estelle Brettman. Estelle... was fearless in the wide sweep of her beliefs and dreams. Even if we might have individually thought from time to time that this or that couldn't be done when were with her, she was always off and running and actually doing it! I know she attracted so many different people to her cause for so many different reasons, not because she was a perfect person or leader, but because she was such a talented and committed human being. Estelle found me and drew me into the vortex of her vision, and I loved Estelle for all the verve and optimism and incredible energy that she brought to the Society. The way Estelle Brettman and I met, and the way I became one of her willing disciples resonates with the Yiddish term "beshercht" ("it was to be"), and - I am happy to say - I cannot recall a single time when I was too busy or otherwise too committed elsewhere that I did not say "yes!" to her when she called. Her sudden and painful death in mid-1991 is/was a terrible personal loss to those of us who admired her so much. Estelle's bequests to us - as Society directors and therefore her beneficiaries - of her book, her notes, her photographs, the exhibit, "Vaults of Memory", and other artifacts and displays, but above all, that intangible but still indomitable Spirit that lives on in our memories, includes the challenge to us to be as wise and courageous and creative as Estelle was in our stewardship of the advancement and fulfillment of her wishes and vision of the International Catacomb Society... She was an incredible optimist and big thinker. That's the way we should always be thinking about the International Catacomb Society, since she herself was living proof that "if you dream it, it will happen" can occur outside of the movies, too! Best wishes to you all for a healthy and happy New Year! The successful integration of digital humanities into the field of history during the past two decades has generated important epigraphic projects. This digital humanities revolution, however, has not made a major impact on Jewish epigraphy, meaning epitaphs, synagogal inscriptions, and dedicatory texts in Hebrew, Aramaic, or other languages associated with Judaism. A generous grant from the European Association of Jewish Studies (EAJS), with additional contributions from Utrecht University and the Akademie der Wissenschaften und der Literatur, Mainz, enables a first step towards changing this, through an international Winter School on DH and Jewish epigraphy. The Winter School participants will acquire the essentials of EpiDoc, a subset of TEI XML. They will learn how to encode Jewish inscriptions in right-to-left languages (e.g., Hebrew and Aramaic), as well as encode text-bearing objects (e.g., stone slabs, mosaics). The participants will apply their digital toolset in the field, during a visit to the 17th century Jewish cemetery in Ouderkerk. The Winter School will increase the awareness of students and scholars of Jewish epigraphy to DH tools, and provide a basic training for encoding research data. The Winter School will take place at Utrecht University, Netherlands, on 19–21 February 2018. Travel (up to €120 per person), accommodation, subsistence and tuition costs of successful applicants will be fully covered. 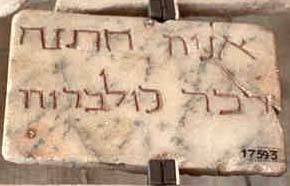 We welcome applications from graduate students of Judaic Studies and related disciplines, who have a particular interest in epigraphy. Please send a full CV and an application letter explaining your motivation for participating in the Winter School to: Ortal-Paz Saar, o.p.saar@uu.nl. 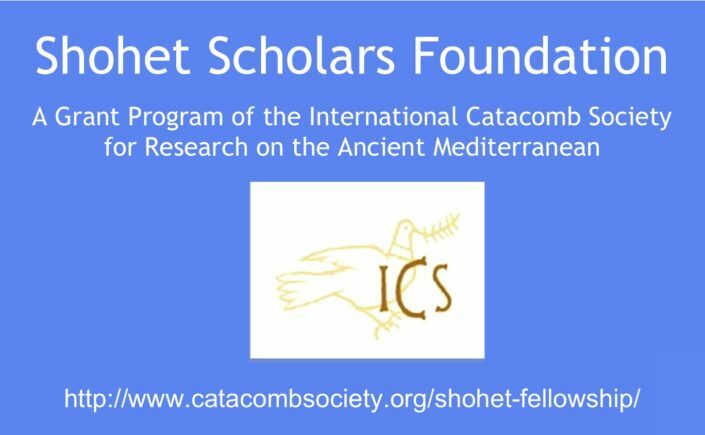 The Rothschild Foundation has awarded a grant to Utrecht University for the digital humanities project PEACE: Portal of Epigraphy, Archaeology, Conservation and Education on Jewish Funerary Culture. The project partners are Utrecht University, the Epidat - Database of Jewish Epigraphy project of the Steinheim Institute (Germany) and the Inscriptions of Israel/Palestine project of Brown University (USA). 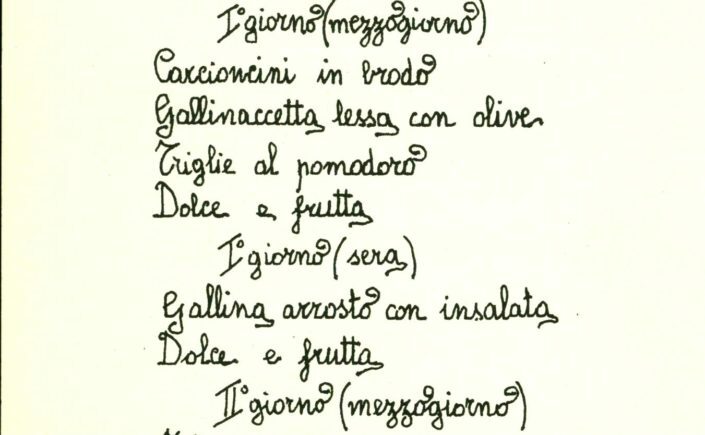 The Goldstein-Goren Diaspora Research Center at Tel Aviv University is looking for a research assistant to work on the project "Italy Judaica" by Prof. Shlomo Simonson. For further information, please contact the Goldstein-Goren Diaspora Research Center at Tel Aviv University: 03-6409799 or email to Diaspora@post.tau.ac.il. המרכז לחקר התפוצות מחפש עוזר/ת מחקר לעבוד בפרויקט "איטליה יודאיקה" של פרופ' שלמה סימונסון.